Hi! 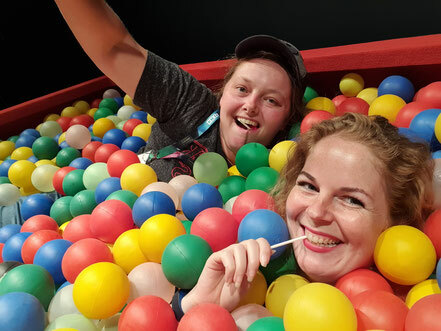 On this page, we're sharing our convention experiences with you. After going to a convention, we'll write about it. We will make an overview of the convention and write about all the aspects. We will also compare some of the conventions & organisations. let us know what you think is important on a convention via info@conmose.com! It's that time of the year again! It's time for a horror con. We always enjoy going to the Turbinenhalle in Oberhausen in November. Same as this year. A few weeks ago we decided to go to Oberhausen for the weekend. We were at House of Horrors on Saturday and Sunday. It was a mix of exhibitors, cosplay, actors, panels, photo ops, food, drink and more! We were mainly looking forward to watching some panels, buy some DVDs or games and talk to some awesome people again! Yeah, we did it! We went to New York and attended 2 days of New York Comic Con! It was amazing to be at such a big con. We went to New York Comic Con on Friday and Sunday.We ordered the tickets in June. On the day the tickets got available for sale, we bought these tickets. We just wanted to be sure that we would be able to attend the convention! Today we're talking about everything Sig and I did on Sunday when we visited New York Comic Con. I read terrible stories about the queues to get in last year. So I was prepared for a long wait. Just like on Friday, we got in pretty fast. We arrived a bit earlier than on Friday. And I think we were in even before 10 AM! So no complaints here about that! This time, we split up immediately. We both had a lot of things we wanted to do, so we needed all the time we could get. We picked one spot where we would meet in between panels and walking around and then split up. Yeah, we did it! We went to New York and attended 2 days of New York Comic Con! It was amazing to be at such a big con. We went to New York Comic Con on Friday and Sunday.We ordered the tickets in June. On the day the tickets got available for sale, we bought these tickets. We just wanted to be sure that we would be able to attend the convention! Today we're talking about everything Sig and I did on Friday when we visited New York Comic Con. I read terrible stories about the queues to get in last year. So I was prepared for a long wait. Nice surprise: We arrived around 10 AM and there was a queue, but it only took like 10 minutes to get in. Well done!! Everything was very organized. Blocks away there was already staff guiding you to the con. That was great. And it was quite special to walk around New York City seeing people going to comic con everywhere around you! Besides that, there was a lot of NYPD as well! I saw quite some policemen and cars. At the con, we mainly visited the show floor and attended 2 panels. We didn't do a lot of exploring actually till the end of the day. We just started on the show floor checking out merchandise. We watched 2 panels in between and just looked at more merchandise! Liv and I went to Wolfcon 3.0 the last weekend of July 2017. Wolfcon took place in Amsterdam at the Park Plaza Hotel. Wolfcon is a fan convention about MTV's Teen Wolf and it is organized by The Con Factory. A while ago, we talked to Patricia from The Con Factory. If you want to know all about The Con Factory and how they organize cons, read our Behind the Scenes article. For those of you who have never heard of Teen Wolf, check out our Series Tip about the show. 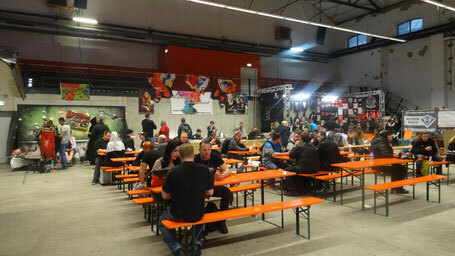 We went to Oberhausen again for Weekend of Hell Oberhausen! Yeah! 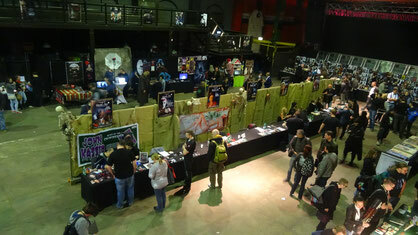 As some of you might know, Weekend of Hell Oberhausen 2014 was the first convention we ever attended. Because of that, it will always be special to us! Oh yes it will. It feels like it was yesterday... I remember we walked into the Turbinenhalle not knowing what to expect and a little bit shy, but by the end of the day we had thrown away all our shame. We really had a blast. Usually, the event takes place in November. This year however, the organization decided to also organize a spring edition!Hell yeah! All I can say is: the more, the merrier. Of course were very happy and we knew instantly we wanted to go. What I love most about this event is that you can get close to the actors and really have a chat. You can make pictures while they're signing. And there's a specific crowd at the con: horror fans. And I love that! Everyone seems to be in relax mode for Weekend of Hell and we need that to keep the balance, because when at a convention our adrenaline levels peak. It's a great atmosphere and everyone is there for one thing: to have a lot of fun! So... Let's talk about this edition of Weekend of Hell Oberausen! We visited FACTS on Saturday April 1st (and that is not a joke). 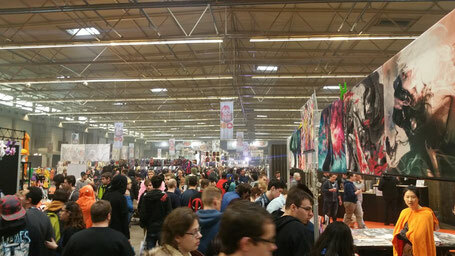 We left from the Netherlands at around 7.30 and arrived at Flanders Expo around 10. Liv and I had a press accreditation, so we went in via the press entrance. That went easy and fast. We entered in the merchandise hall and it became busy quite fast. It was a nice kind of busy however. Many people were there already, but the atmosphere was great. People were happy to be at FACTS and were having a great time. And so were we! Tristan and Sigmund came in through the normal entrance and I guess that went pretty smoothly too, because we met up with them not long after. We talked a little and then our ways parted; Tristan and Sigmund started their quest in the merchandise section, while we decided to take a look around in the Guest Hall. Most of you know already: We went to Dutch X-Mas Con! I can tell you already we had a lot fun and will write a lot of articles! Today we show you some amazing cosplayers we saw at the convention. I always love to see cosplay at Comic Cons. You can just see all the work that's been put in the costumes. Here are a few great cosplays from Dutch X-Mas Con! Enjoy and let us know in the comments: Which one is your favorite? And what will be your next cosplay? If you're one of the cosplayers on the picture and have a link to your website/ facebook page, let us know! We'll put the link in this article so people know how to find you. 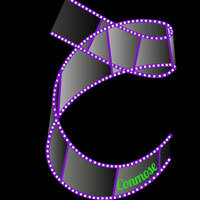 If you want us to send the photo to you via e-mail, just send a message to info@conmose.com! Liv and I went to Arccon 2016 (June 25 th & 26th). It was organised by KLZ Events. Arccon is fan convention with guests from the series The Flash and Arrow. February 27th, I was home alone. Just browsing the internet. When I saw this promotion for Arccon. The prices for the passes were lower: We must have seen it at exactly the same time. Liv and I started talking via Whatsapp immediately. Well, within a few minutes we bought the tickets. Yes that was a very spur of the moment decision. In my opinion it was now or never, so we decided to just do it! At that moment, there were 3 guests announced. (Colton, Rick and Manu). Later on also Katie and Shantel were announced. We were very happy with this awesome line-up and already bought some photo ops and autographs. Later on, we received the bad news that Colton had cancelled, followed by Katie and Manu. Well that wasn't fun! All week I walked around with a grumpy face, grumpy cat would be jealous of. But, KLZ also had good news. They found replacements quickly: Matt Ryan, Violett Beane and Michael Rowe! I was especially happy with the announcement of Matt Ryan. I loved him in his role as Constantine (he really does a brilliant job on portraying this one).But I was thrilled about all three replacements. This was our first KLZ convention! October 2015, we went to FACTS for the first time! 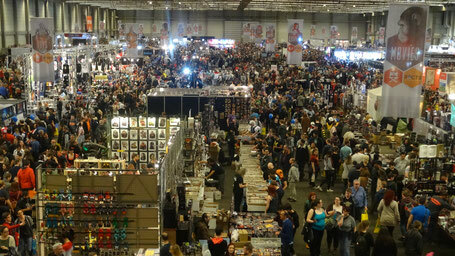 FACTS is a Belgian Comic Con. I was very impressed by the way it was set up. So this year, we decided to go again. And this time we had a whole weekend! Yay! This was the first time, there was a spring edition. We arrived a bit after 10. Parking was a bit confusing: Many parking places, we didn't know immediately where to go. Luckily there were parking attendants that showed us where to go. Walking from the parking lot to FACTS took about 10 minutes. There was quite a line to get in. We had been expecting this. FACTS already announced many checks and you weren't allowed to take in bags bigger than an A4. But: The queue went very smoothly. We stood in line a while, but it went well. The line moved constantly: No standing still. So for me, the queue wasn't a problem. On Sunday things went even more smoothly. You have to imagine there was a big hall were everybody came in, then there was bag and ticket control. After that, you walked into another hall with some things to do and eat. This was the real entrance hall. On Sunday they let people go through security checks before 10, so everyone was waiting in the second hall for the doors to open. You could take a seat and have some coffee. Or get your picture taken. At 10 o' clock sharp the big doors opened and everyone was inside in a few minutes. Great organization! What I like the most about FACTS is the variety. There's so much to do! A lot of merchandise, props, actors, cosplayers and games. I can't get bored at FACTS! Sunday morning, lyrical faces & star bucks coffee. That's the start of our Walker Stalker adventure. We were excited since we bought the tickets in July, so at this moment we were unstoppable! We were buzzing from excitement and after a very small (but very effective) cup of espresso, my adrenaline levels were sky high. We made a 'plan'. We knew what we really wanted to do and see and the rest would be just extra! And after all the tweets and facebook posts we read about the day before, we knew it would be a jungle in there. So we needed that plan.